In Spot Light Productions’ ‘What’s On Diary’ for the end of July is a tribute to LM Radio’s Top Hits as heard on their Top 100 playlist. 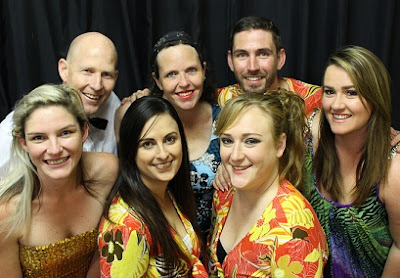 The talented cast includes vocalists Caeley van Doorn; Dani Cook; Alexandrea Dawson; Sharon Ditchburn; Sharon Watters; Shonan Doger de Speville and Ross Lottering. They will perform hits from The Mamas and the Papas, Billy Joel, Eric Clapton, The Beatles and many more! This promises to be an evening packed with good music, laughs and fun quizzes; with plenty of spot prizes up for grabs! LM Radio’s Top Hits will be ‘broadcasting live’ (in other words, performing) from the New Germany Sports Club on July 20 and 21 and again on July 27 and 28, 2018. Food and drinks will be available at the venue. Doors open 19h00 and the show will start 20h00. Tickets R100 pp booked through Sharon on 082 997 0709.